366 Books in 366 Days: Christmas Crackers! I adore this time of year, I always have done and as the Mini Reviewers are growing up, it seems that the countdown to Christmas is becoming even more magical. I love all the planning and the crafting and, of course, all the amazing Christmas books. 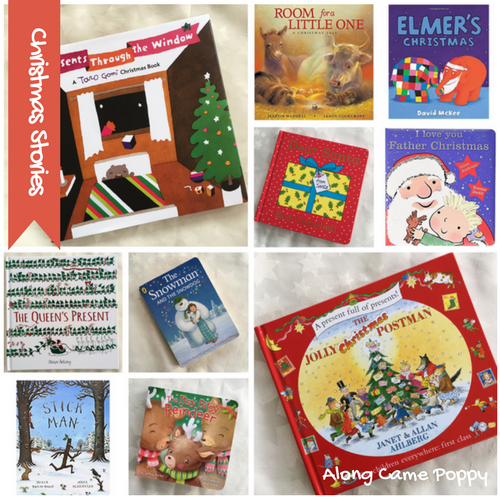 Although I am still in the process of compiling our December list for our 366 books in 366 days challenge, I thought that as November is almost over, I'd share ten brilliant Christmas books to get you feeling festive! So grab a mince pie, sit down and enjoy our selection of Christmas Crackers. There are lots of golden oldies in there, as well as a few brand new titles. 1. The Queen's Present. I confess that I was very excited about the release of this new book by Steve Antony. Mini Reviewer, Izzie, is a huge fan of both The Queen's Hat and The Queen's Handbag so I was extremely eager to read the third book in this series to her. 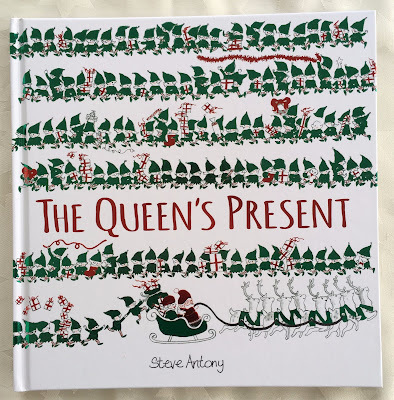 In The Queen's Present, the Queen teams up with Father Christmas to find a gift for her grandchildren. 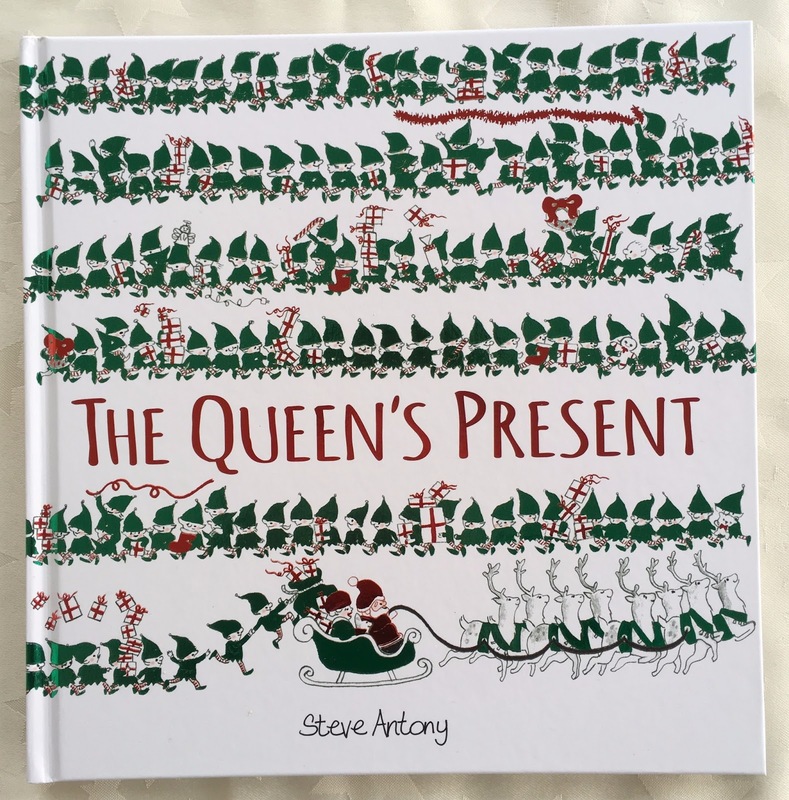 Together, Father Christmas and the Queen travel all over the world and even stop off at the North Pole in their search for the perfect present. The Queen returns to England with the best possible present for the Prince and Princess, a Christmas Day cuddle from Grandma. 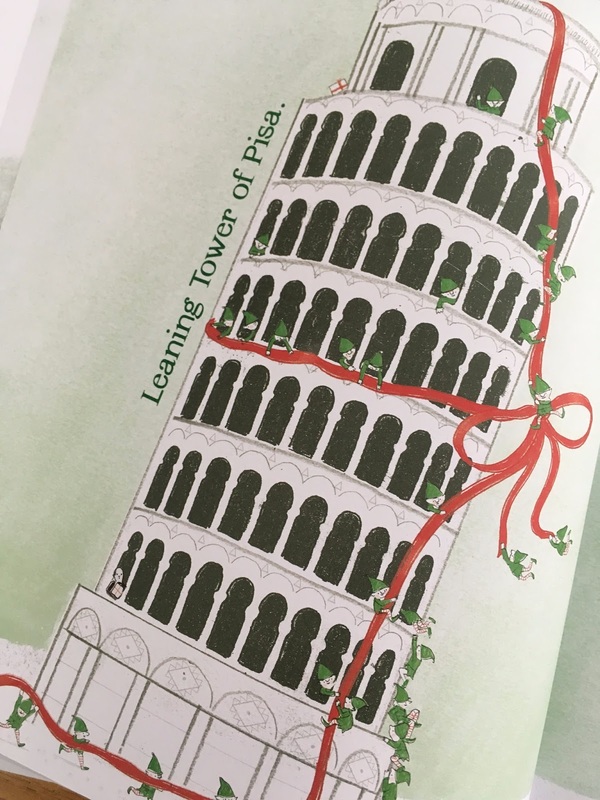 This is a really festive story and, as always, Steve Antony's illustrations are playful yet accurate making this a great book to learn about some of the world's most famous landmarks. The use of green and red throughout the story make the pictures incredibly eye catching and adds to the festive feel. This is certainly a book that will be treasured here for many Christmases to come. 2. The Jolly Christmas Postman by Janet and Allan Ahlberg. In my very unofficial poll of friends, family and fellow book bloggers, this title came up more than any other as a Christmas favourite. This is hardly surprising as it is such a fun book. We join the Jolly Postman on his round as he delivers the Christmas mail to lots of familiar characters: Little Red, Baby Bear, Humpty Dumpty and even Mr Wolf. With letters to open and explore, there are lots of surprises and I have never encountered a little reader who doesn't enjoy it. 3. Dear Santa by Rod Campbell and published by Macmillan (2012). This festive lift the flap book from the creator of "Dear Zoo", is fantastic for the littlest of bookworms at Christmas. Will Santa be able to find the perfect present, lift the flaps to unwrap the gifts and find out. 4. The Itsy Bitsy Reindeer is a new and incredibly cute little board book based on The Itsy Bitsy Spider or, to those of us in the UK, Incy Wincy Spider! 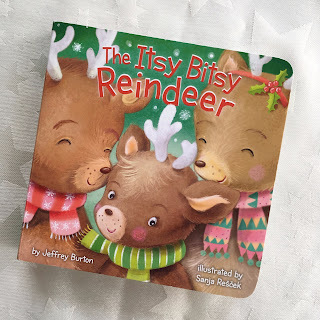 In the story we find out all about the Itsy Bitsy Reindeer and how he helps Santa get ready for his Christmas deliveries. Mini Reviewer, Theo, keeps asking for this book over and over again. He really enjoys singing along to the rhyme and looking at the pictures. We love that it is the perfect size for little hands to hold and would make a great stocking filler for babies and toddlers. 5. 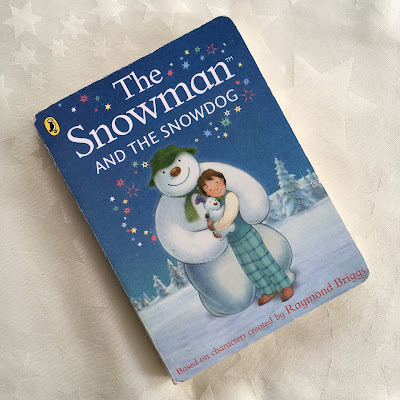 The Snowman and The Snowdog, which is based on the characters originally created by Raymond Briggs. Now I grew up loving The Snowman, both the book and the film. It was actually the very first video I owned as a child! But I have to say that I enjoy The Snowman and The Snowdog even more. In this sequel The Snowman is back and has a canine friend with socks for ears. The story follows them on their magical adventure to join the other snowmen and meet Father Christmas. The surprise ending of this story is so lovely and, I confess, I may have shed a few tears. 6. 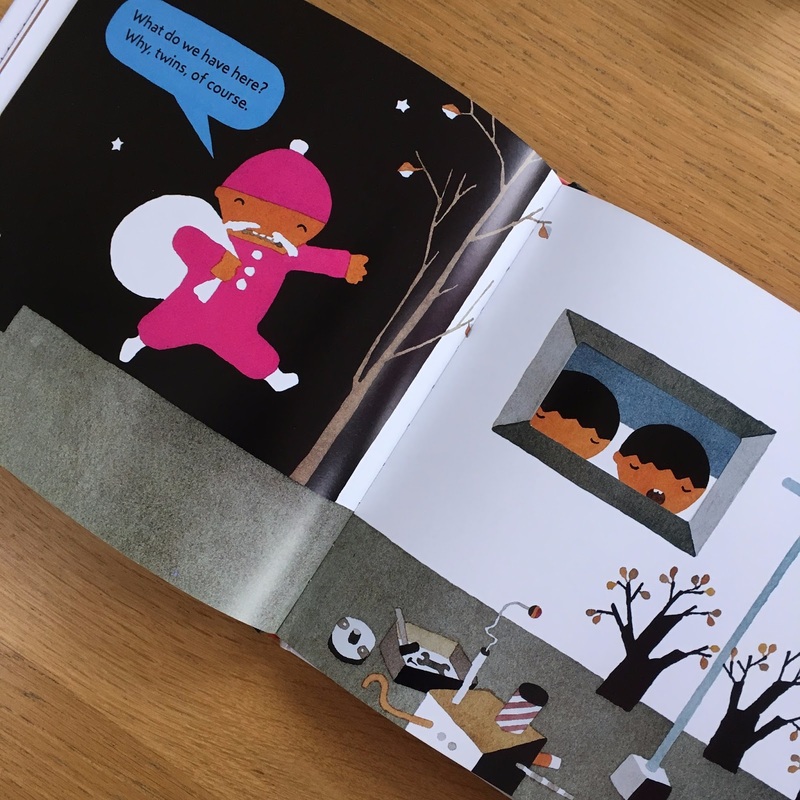 Presents Through the Window is a great interactive book that is a little different to other Christmas stories. 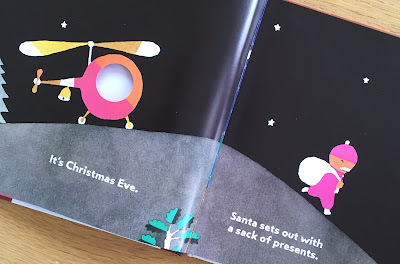 The Santa in this story wears a pink suit and flies a helicopter. He is also extremely busy so only has time to peek in through the windows before dropping off each present. This leads to a few mix ups. Just what will the recipients make of their gifts on Christmas day? We really enjoyed this unusual book and the Mini Reviewers loved peeking through the windows and found Santa's mix ups hilarious! 7. 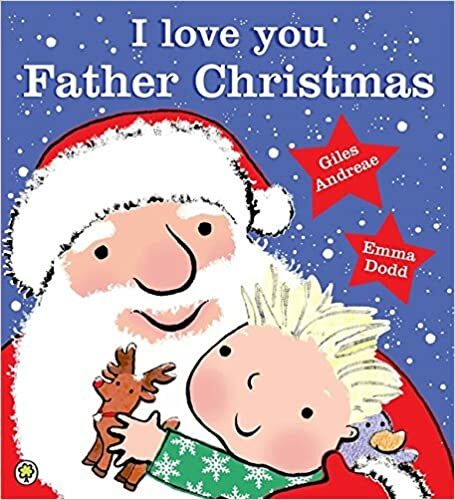 I love you Father Christmas written by Giles Andreae and illustrated by Emma Dodd. This week we went to our library and they had put out all their Christmas picture books. We may have picked up one or two (or six!) and this was one of our haul. We have previously reviewed I love my daddy and enjoy Giles Andreae's rhymes and Emma Dodd's illustrations. This story is based on a child's letter to Father Christmas so it really captures the joy of the festive season and the magic of a childhood Christmas. 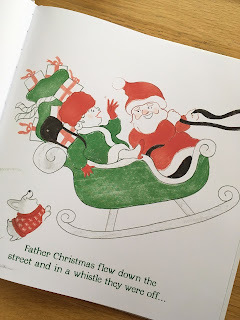 The book is a fantastic way of introducing little ones to Father Christmas with his red suit, shiny boots, amazing beard and, of course, his reindeer. It talks about the tradition of leaving carrots and mince pies on Christmas Eve and also highlights that only good little boy and girls get gifts off the big man. 8. 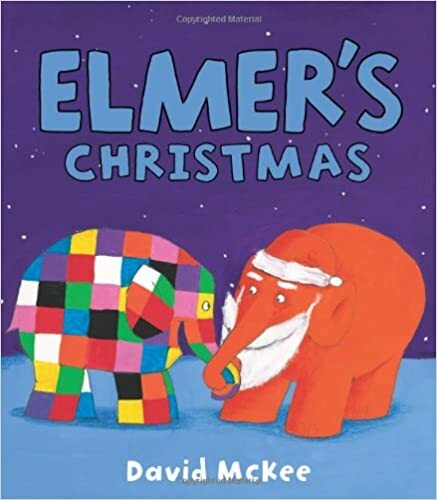 Elmer's Christmas by David McKee. It is nearly Christmas and Elmer takes the excited young elephants on a snowy adventure. Will they get to see Papa Red? Well only if they stay out of sight! This is a lovely colourful Christmas story featuring our favourite elephant and it is now available as a board book. We adore Elmer find out why here! 9. 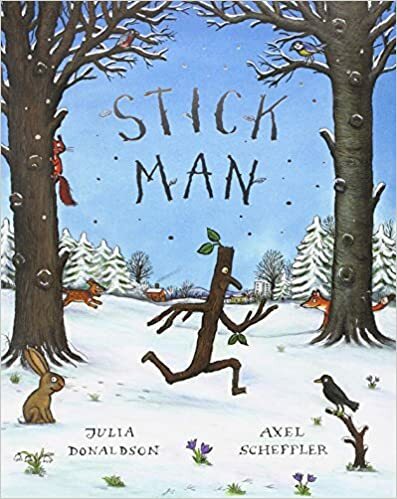 Stick Man written by Julia Donaldson and illustrated by Axel Scheffler. 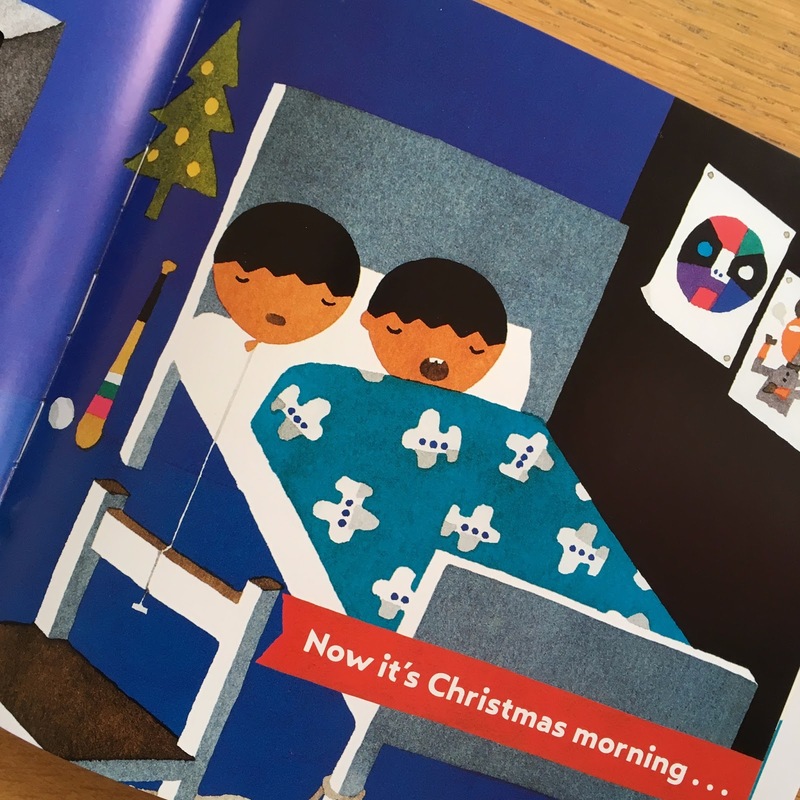 Now I always forget that Stick Man is a Christmas book and this is probably because it is such a popular choice in this house all year round. We know the story very well: "Stick Man lives in the family tree with his Stick Lady Love and their stick children three..." For those of you who are unfamiliar with Stick Man's tale being a stick, although exciting, can be rather dangerous. Every day leads him on a different adventure. Stick Man becomes many things including a sword, a mast, part of a nest and he is nearly set on fire! He is desperate to get back to the family tree and with the help of a very special person he might do it, just in time for Christmas. 10. 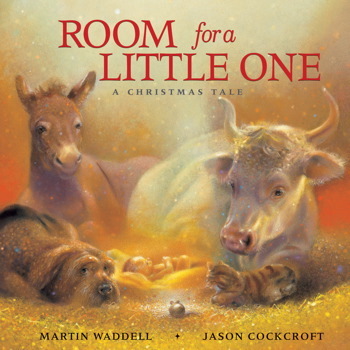 Room for a Little One - A Christmas Tale by Martin Waddell and Jason Cockcroft. This was another of our recent library finds. I have been on the look out for a lovely Nativity book to include in our Christmas selection for a while. This one is a beautiful portrayal of the Christmas story. On a cold night, the animals gather in a stable by an inn, they are joined by some travellers seeking shelter and they witness the birth of a very special baby. This is a gentle story, full of tenderness and the stunning illustrations radiate a certain warmth. We have really enjoyed sharing this story together. We hope you are now feeling a little more festive. If you would like to win a copy of The Jolly Christmas Postman, please do check out our competition on Instagram. *Disclaimer: We received copies of The Queen's Present, Presents Through the Window and The Itsy Bitsy Reindeer for the purpose of review. The other books are either library books or part of our own collection. As always the opinions are our own. As I am always on the look out for new healthy options for the Mini Reviewers, I was delighted to be asked by Heavenly Tasty Organics if we would like to try their range of organic and low sugar snacks for children. 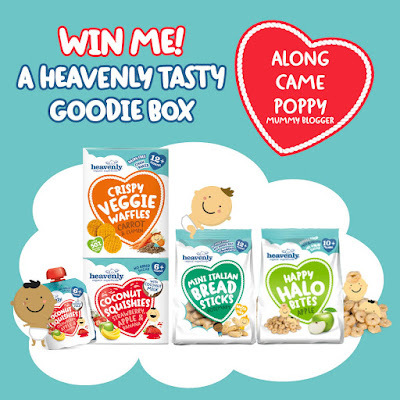 We were already familiar with the Heavenly brand, Poppy is particularly partial to the Yummy Wafer Wisps, so we were very excited to get the opportunity to sample their full range. 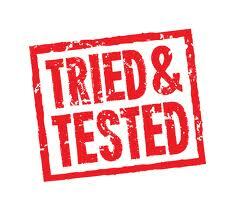 The foods are 100% natural and organic and packed with superfoods such as kale, spinach, coconut and pumpkin. The question is, do they taste good too? Poppy is an eating machine and very enthusiastic about her food but if there is something she does not like, she soon lets us know about it! As we were going away for the weekend, I decided to pack a range of the Heavenly goodies for her to try on our travels. First up, the Coconut Squishies. These are suitable for 6 months plus and come in three flavours: Pineapple, Apple and Banana with Coconut Milk; Strawberry, Apple and Banana with Coconut Milk; and Mango, Apple and Banana with Coconut Milk. Containing organic fruit, coconut milk and lemon juice they are 1 of your 5 a day. The squishies are dairy free but as they contain coconut milk they have a very distinctive flavour. They can be eaten with a spoon but are also perfect for sucking straight from the pouch, a skill that Poppy has since mastered! Eating out on our first night away, Poppy was at first intrigued by the Coconut Squishie but, as you can see, she went on to eat it with great gusto! She also enjoyed a Coconut Squishie at the Zoo. 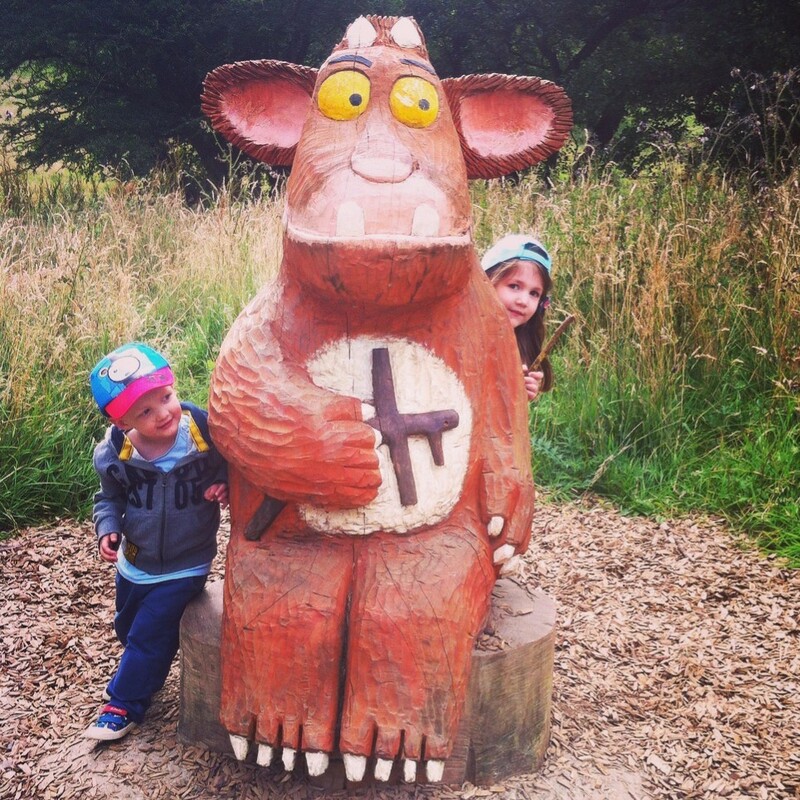 It gave her plenty of energy to practise her walking and make friends with the monkeys and penguins but there was no way she was sharing her snacks with her new buddies! No, I am not sharing this one! Poppy was already a fan of the Yummy Wafer Wisps, which come in two flavours: Pumpkin and Banana; and Apple, Spinach and Kale. She prefers the Pumpkin and Banana ones. As these are suitable from 6 months they make a great first (and relatively mess free) finger food. The little snack packs are really handy to pop in your bag. The Happy Halo Bites are suitable from 10 months plus. They come in Banana or Apple flavours. These small hoops look a little like a well known breakfast cereal but are in fact a finger food. Poppy clearly enjoys them, just look at her little face below. She likes to make mummy panic by seeing just how many she can fit into her mouth at once! I was a little concerned about her new game, so I tried the halos myself and they do literally melt in the mouth. They are pretty tasty too! The Crispy Veggie Waffles and Mini Italian Bread Sticks are suitable for 12 months plus. The Crispy Veggie Waffles are available in two flavours; Carrot and Cumin and Sweet Beet and Shallot. These snacks are certainly full of flavour, especially for toddler snacks! The Breadsticks come in Original and Rosemary. Poppy did try all of these but under very close supervision as she is not quite 12 months old. She is used to eating normal breadsticks and, even with no teeth (that's a story for another day), manages well with this type of snack. Again these are great finger food options and perhaps not just for little ones - the Rosemary breadsticks taste great dipped in hummus! Overall we were very impressed with the range of Heavenly snacks. They are full of flavour and there is a great variety of textures. Poppy's favourites are the Happy Halo Bites and the Yummy Wafer Wisps. She also really enjoyed the Coconut Squishies. Full of natural goodness, yet low in sugar, I would purchase these products again without hesitation. 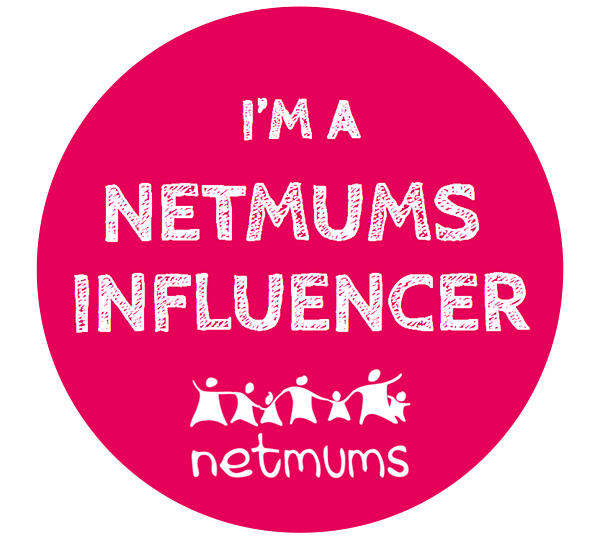 *Disclaimer: We received a free hamper of Heavenly Tasty Organics products for the purpose of this review. All opinions are, as always, our own. This week my eldest daughter, Izzie, turned five and I just can't work out where those last five years gone. It only seems five minutes ago that she was a tiny (well ok a 9lb 4oz) bundle of joy. Now she is at school and has become "Little Miss Independent"! 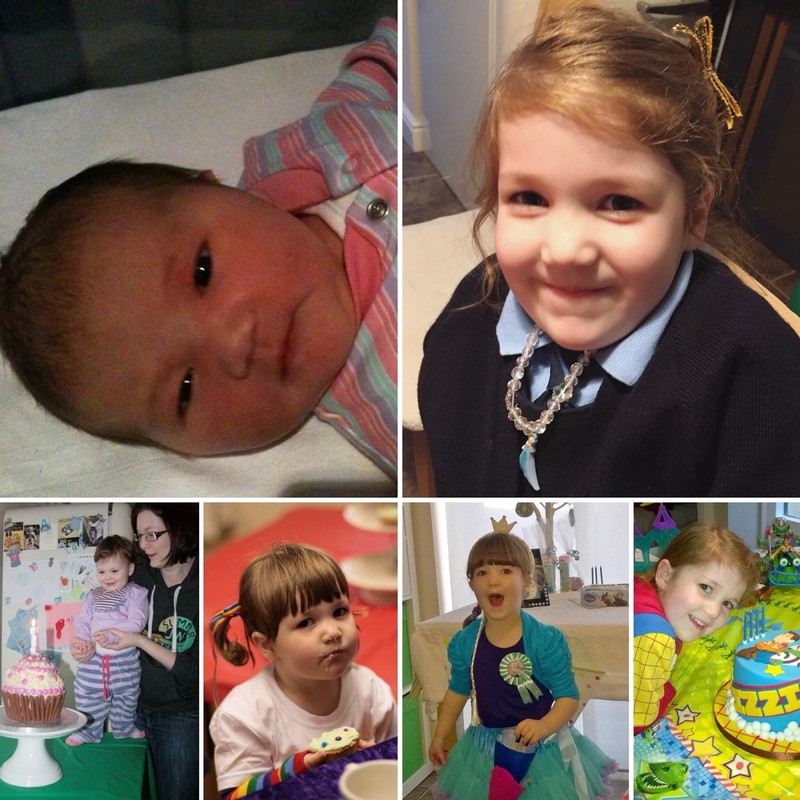 As her birthday fell on a school day, it was the first time we wouldn't be spending the whole of her special day together. It seemed only sensible to postpone her party until the weekend and instead celebrate her day with presents, cards and a little birthday tea. After great deliberation she decided she would like hot dogs and cake. Wouldn't it be fantastic if she remains this easy to please? I had seen some super little personalised cakes from bakerdays that you order online and they are delivered to your door. The cakes are designed to actually fit through your letterbox so there is no need to wait in for the postman. They deliver six days a week and if ordered by 2pm, they offer next day delivery. How great does that sound? I had a little look at the bakerdays website and I was amazed by the variety of cakes available. There is literally a cake for every occasion (Christmas included) and most designs can be personalised with your own message and, in some cases, even photographs. 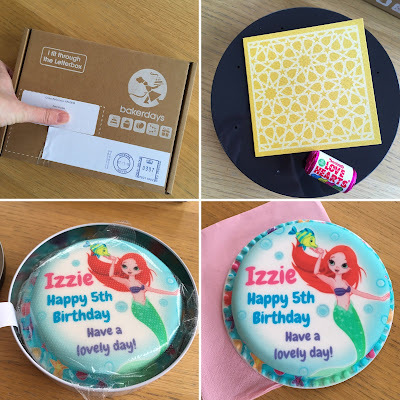 As Izzie loves everything princessy at the moment, I decided on a "Mermaid Princess Cake" with a personalised message. The cake arrived by post on her birthday as planned. It was very neatly packaged in a tin, with a small card and a packet of love hearts. It was a lovely surprise for her to open when she got in from school. She was delighted with the colourful mermaid design and she was so excited when she realised the cake had her name on it. The cake itself was 12cm by 2.5cm so just big enough for three or four adult servings. It was perfect for the four of us at teatime and it tasted good too. We chose the vanilla sponge cake which has a layer of buttercream and icing. There are other options available including fruit cake, chocolate chip and even dairy free and gluten free. If you would like to try a Letterbox Cake for yourself, why not enter our competition below. One winner will be selected from all correct entries at random and will receive a Letterbox Cake from bakerdays (RRP £14.99). 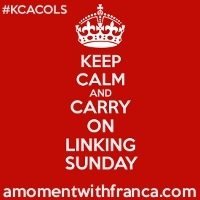 This competition is open to UK residents only. *Disclaimer: We received a free Letterbox Cake from bakerdays for the purpose of this review. The opinions are, as always, our own. 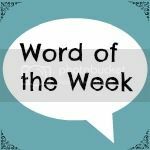 Word of the Week: Birthday! 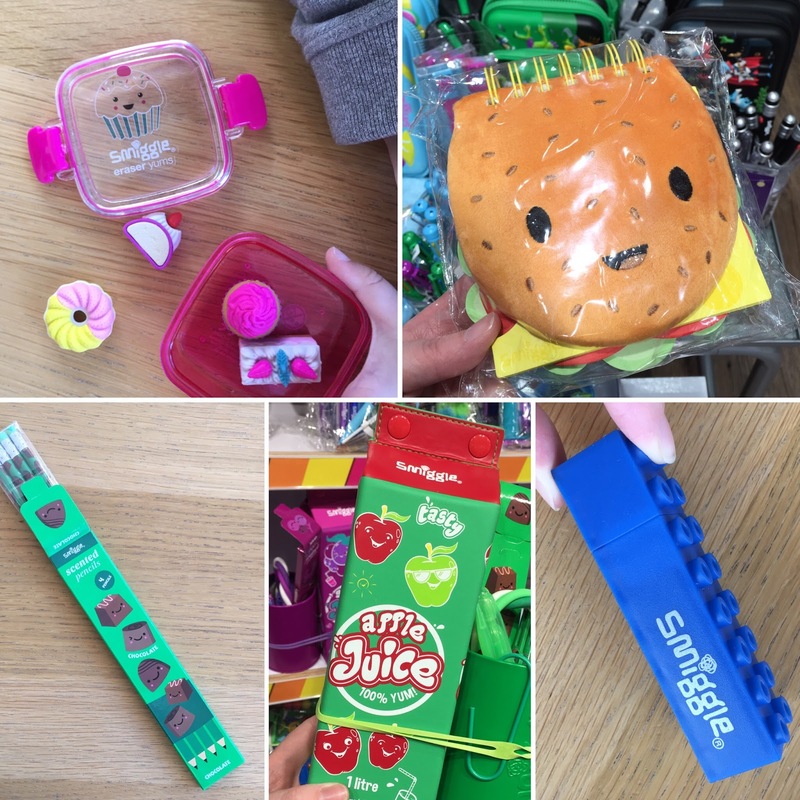 We were delighted to be invited to visit the York Smiggle store to check out their Christmas range. If you haven't heard of Smiggle (when a smile meets a giggle), it's an Austrailian brand, specialising in fun, colourful stationery and quirky accessories. We are not that familiar with the centre of York but situated in Coney Street, the brightly coloured store is pretty hard to miss! When we stepped inside, it was just like being in a sweet shop. There were endless shelves lined with tubs of pick and mix style goodies. 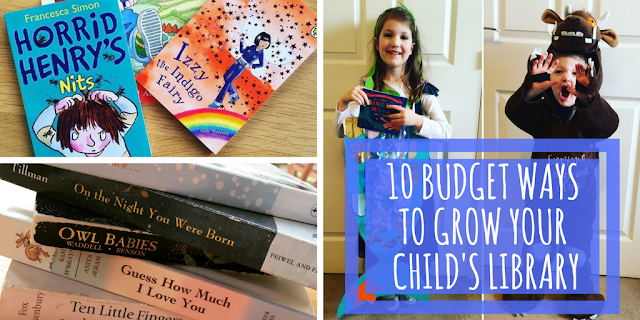 The Mini Reviewers did not know where to start and, to be honest, neither did I! Not only was there a huge range of fun stationery items, there were also craft sets, bags, bottles, watches, toys and even scented paint! 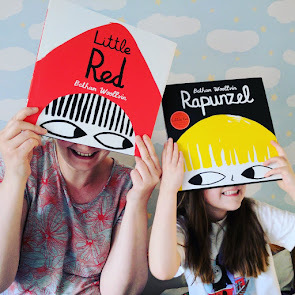 The Mini Reviewers got more than a little giddy... Christmas had definitely come early for these two! There are a great variety of these little eraser packs. Some are scented and there are some Christmas themed selections and even a Christmas bauble. Our favourite is this scented set because (in Izzie's words) "they are just so cute" and another little person couldn't keep his hands off them! There was also an offer on when we visited so we got two packs for £5.00. This plush jotter is very quirky and made us all smile (even Grandma liked this one). I think I may have to go back and get this for Izzie's stocking. There is a whole range of scented pencils but these were our favourites because they really do smell like chocolate! Perfect for chocoholics everywhere. There is an amazing range of pencil cases but we thought this Juice Carton was a bit different and you could fit loads of Smiggle goodies inside. Theo loves building with blocks and these stacking pens look like fun. During our visit we also spotted the Smiggle Advent Calendar so if you are looking for an alternative chocolate-free advent calendar, this could be very tempting. At £28 it is reasonably priced especially considering you get £38 worth of goodies. There are also 25 lucky tickets hidden in calendars to win a £250 Smiggle shopping spree. Smiggle now has shops all over the UK and I do recommend popping in for the full "Smiggle experience". But if, like me, you love a late night online shop, all these goodies are also available online. *Disclaimer: We were invited by Smiggle to visit their York store for the purpose of this review. We received a £25 voucher to spend in store. All opinions are, as always, our own. The evenings are growing darker and the air chillier. Winter is certainly on the way. Now is the perfect time for an "after school hot chocolate" (yes, that is a thing in our house!) and snuggles under a blanket with, of course, a good book. We've picked a few of our favourite winter reads to share with you. As always we've tried to include a mix of brand new titles and some better known books. We hope you enjoy our recommendations. Sleep Tight Farm, published by Chronicle Books (2016). 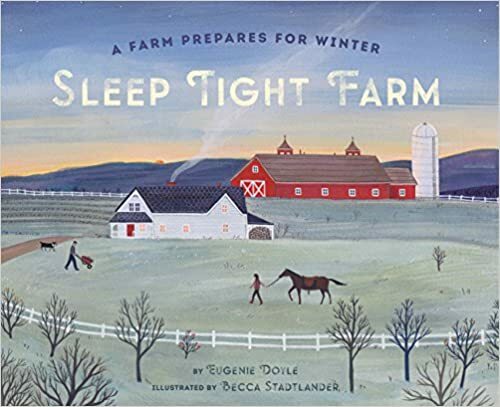 Written by Eugenie Doyle and illustrated by Becca Stadtlander, this is a beautifully illustrated new book which shows a family of farmers working together to put their farm to bed for the winter. Learn how they work hard to prepare for the frost, wind and snow that the winter brings. See how they protect their plants, store food, stack the wood and ensure their animals and machinery are all safe. They say "good night" as they complete each task. Finally the farm is ready and the snow falls. As Dad tucks in his little farmers in for the night he says "Good night, farmers, sleep tight." The book then ends with the words "Sleep tight, farm." This repetition and the calm and gently pace of the story make it a brilliant and fascinating bedtime read. Bear and Hare SNOW! Published by Macmillan (2014). 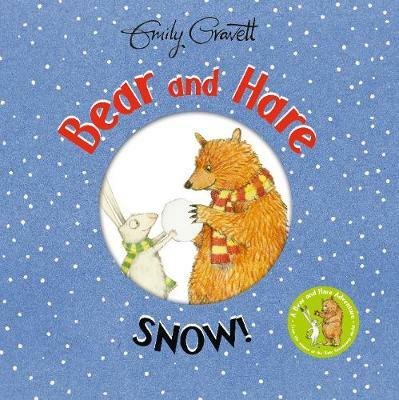 This fantastic book from the award-winning Emily Gravett celebrates everything that is great about snow! At the start of the book we are told that Hare loves snow, but we see that Bear is not so sure. We then join the lovable duo on an action-packed adventure as they make snowballs, build snow hares and bears, go sledging and even catch snowflakes on their tongues. This is a lovely book for young children and readers cannot help but feel Hare's joy as he shows bear just how much fun the snow can be. Unsurprisingly, by the end of the book, Bear loves snow just as much as Hare! 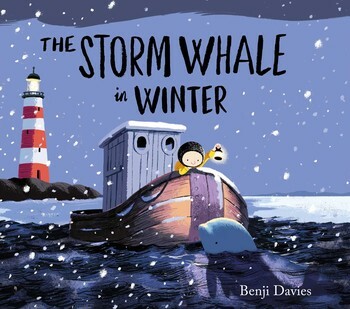 The Storm Whale in Winter, written and illustrated by Benji Davies and published by Simon and Schuster (2016). This is the new sequel to the award winning The Storm Whale and, in our opinion, it is even more endearing than the original. The Storm Whale in Winter is the story of a brave little boy called Noi, his Dad, their six cats and a very special friend. In the first story Noi rescues a little whale and, with his Dad's help, he returns it to sea. In this sequel, Noi get's into trouble when he goes to find his Dad and this time it is the little whale who helps Noi to safety. The wild and wintery illustrations in this book are truly stunning and as the story is about a long lasting friendship it makes a heartwarming read. 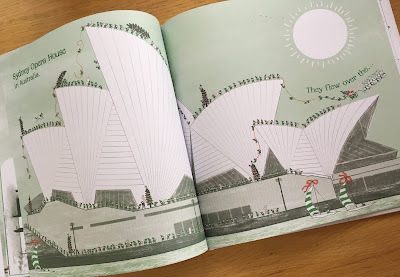 As touching as this book is, our favourite bit is spotting Noi's six cats! 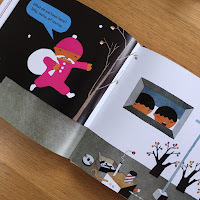 One Snowy Night, written and illustrated by Nick Butterworth and published by Harper Collins. Percy the park keeper lives in the middle of the park. He always looks after the animals and shares his lunch with them. But on a cold winter's night when the snow is falling, Percy's friends come to him looking for shelter. Will he be able to squeeze them all inside his little hut? First published in 1989 this has become a classic and well loved picture book. It is one I remember very clearly from my own childhood. With lovely illustrations and full of humour, this is a perfect story to read aloud at this time of year. Bunny Slopes is a fantastic new and innovative picture book by Claudia Rueda and published by Chronicle Books (2016). Bunny is on an exciting skiing adventure but will he be able to avoid the obstacles and get home safely? Well only with your help! 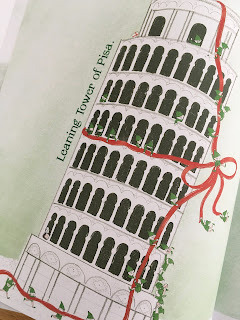 Mini Reviewer Izzie, compared this book to "Press Here" by Herve Tullet and she is quite right, as it is just as interactive and fun for little ones. First make it snow, then help bunny navigate the slopes by tilting, tapping, turning and shaking the book. This is a simple story but very engaging for young children. Our favourite part was making the bunny jump! We will be sharing our top Christmas reads shortly, which will be perfect if you are creating a book advent calendar and in need of some inspiration. 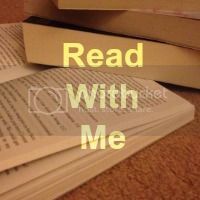 In the meantime, we would love for you to share your favourite winter and Christmas books with us. *Disclaimer: We were sent copies of Sleep Tight Farm and Bunny Slopes for the purpose of review. All opinions are, as always, our own.